The YSL Rouge Pur Couture Vernis à Lèvres Glossy Stain (say that three times fast) first became available for purchase in early January at both Sephora and Nordstrom. I literally ordered one (in the shade #5 Rouge Vintage) the minute I saw that they were available for sale. And after testing out that bad boy for a couple of weeks, I took the plunge and ordered a second (#12 Corail Fauve) and I am sure it won't be my last! It has been quite a while since I have been so excited by the launch of a new product, but I think these genuinely warrant the excitement. For a gloss lover like myself, it's exciting to have something glossy but with the lasting power of a stain. The gloss doesn't last extremely long (a couple of hours on me), but the color does stay around on the lips and fades evenly (meaning no dreaded ring around the lips). A lot of people have commented that they don't like the smell of the product. I genuinely haven't noticed it, but I am not sensitive to smells. If you are, you might want to test these prior to purchase. 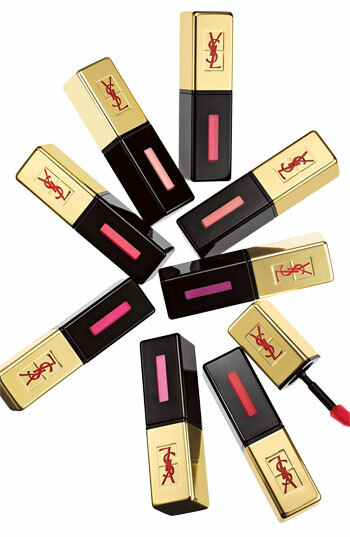 I always apply two coats (as per YSL's instructions), the first coat ends up as the stain and the second as the gloss. They apply fairly evenly, but it does take a little time to get them completely even. The texture is a bit thick once it sets, but not really sticky. They haven't dried out my lips at all, although I wouldn't say that they are moisturizing, either. For me, these have become a product that I cannot imagine living without and they are truly unique. I enjoyed wearing #5 Rouge Vintage (a cool berry that is definitely a winter lip, but not too dark or vampish) over the past few months, but I anticipate that it will be #12 Corail Fauve that is my lip of the summer. It is a stunning coral that works on my cool complexion where few others do. I feel I need to balance all of my gushing over this product with a few of the downsides. 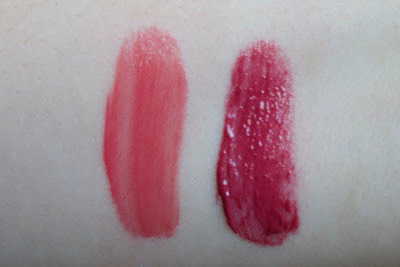 Like, for example, you can see in the picture above that Rouge Vintage has started to get a bit gunky. I think it is because it has been open for about two months, versus the two weeks I've had Corail Fauve. It still smells fine and is ok to use, but I fear that these might not have the longest shelf life. And as I mentioned above, they do take a bit of time to apply evenly (although still do-able). Last but not least, they are on the pricey side, at $32 a pop. Feel free to skip these if you aren't a gloss lover, or if you don't like scented products. 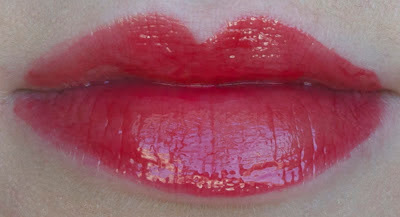 However, if you are obsessed with gloss (like me) you should definitely take a look!